Every blogger and affiliate has heard the age-old mantra “the money is in the list.” Yet, many people don’t take the time to build one. They either think it’s too much work or don’t see how it will actually bring them any money. I get the temptation to focus on projects that generate immediate cash. But eventually making money from Adsense or small payout affiliate offers won’t seem worthwhile anymore. If you want to make real money, you need a list. I recently read a case study about one affiliate that made nearly $10,000 in five days by building a list and using simple email forms. That just isn’t possible with SEO or PPC traffic. You don’t need to give up on all of the projects that bring you an easy cash flow, but creating a list should be your long-term goal. Why is growing a list such a big deal? Whether you are a blogger, e-commerce merchant or an affiliate, there are a few main reasons building a list is crucial. Let’s take a look at two hypothetical affiliates. In our example, they are both using PPC traffic. Affiliate one sends his leads to a landing page. Some of his leads click through to the offer and make a purchase. He gets a conversion and then never hears from those leads again. Affiliate two sends his leads to a landing page with an opt-in form. Many of these people subscribe to his email list. Over time, he builds a relationship with them. He segments his list based on their interests and promotes a number of products to his subscribers. Affiliate two is making a lot more money over the long-term because he converts his leads again and again. Once he has a list of 4,000 subscribers, he is making $200 a month off of them with little extra effort. Meanwhile, affiliate one has to keep hustling to find new leads. Many affiliates are drawn to offers with high payouts (like the Venus Factor program on Clickbank). They try using the same traffic sources they use to promote lower payout offers, but never get any sales. These offers convert much better if you promote them on an email list. People are naturally hesitant about buying anything online. Many of them have been scammed before (remember the Acai Berry scandal? ), so they will only pull out their credit card after listening to recommendations from people they trust. Creating an email list is the single best way to build a relationship to sell those offers. Here is a disappointing reality all bloggers must accept – nearly 80% of their visitors will never return. Even visitors that do return can be fickle about it. The best way to build long-term visitors is to get them to make a commitment. If you get them to join your email list, you can let them know when you have new posts and draw them back. To see how some of the most popular brands and bloggers are using popup windows to grow their mailing list, check out this resource. There are a lot of ways to monetize your blog. The bloggers that make the most money diversify. Rather than relying on Adsense and affiliate links to products with low payouts, they often build their products or run paid courses. Just like promoting high ticket affiliate products, it’s hard to sell products if you don’t have a solid relationship with them. Get people to subscribe to your list early on. After you build a relationship with them, you can let them know that you are about to release your own product. They will be a lot more likely to buy if they are loyal subscribers. 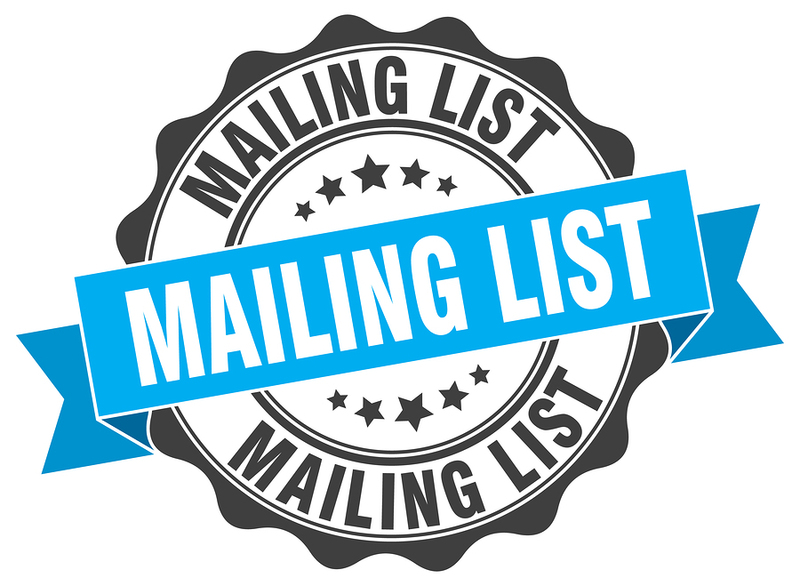 It’s a complete no-brainer that every business and brand needs to have a mailing list. However, the process of growing your mailing list doesn’t need to be one that is extremely slow and takes time to build. Instead of adding a subscription form to your site and hoping people take action, it would be much better to start a 100% opt-in email and lead generation campaign. Through the use of our hand-selected partner sites, we can grow your mailing list overnight with our 100% opt-in lead generation technology. Contact us today to learn more about how you can double your mailing list, while not blowing through your budget in the process.